It’s a classic story: leaving the comforts of home, family, familiarity for various reasons: adventure, bigger opportunities, a yearning for something new. Moving abroad to work or study is something that people have been doing for centuries, and those doing so join a long line of people, but one question remains – what really happens when you come home? Having grown up as a child in the UK for a good 6 years it was easy to make the decision to live there and pursue my Bachelor’s degree and Masters in London. In addition, an international qualification would provide me with more career opportunities down the road and widen my network. My experience of studying and living abroad definitely surpassed my expectations as it was a very fun experience. Not only did I have lots of good memories, I learnt a lot about myself. 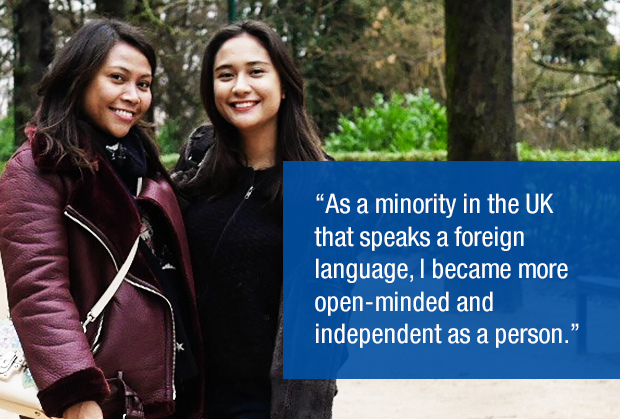 As a minority in London that speaks a foreign language, I became more open-minded and independent as a person. After completing my Bachelor’s degree and Masters, I decided to embark on my career in UK. However, I was met with setbacks and challenges. It was not easy getting a job in the UK, especially for foreign students, because the job market is very competitive and there are so many international students who want to work in the UK due to the living standards and high-paying salaries. Eventually, I made the decision to return back to Indonesia. There were so many concerns that arose, but the biggest concern was culture. Having lived abroad for 12 years, I felt more ‘westernized’ as compared to my Indonesian friends who have never lived abroad and was worried that it might be hard for me to fit in. It was also difficult to see what Indonesia could offer me, as the quality of life and standards of living differed greatly from that of the UK. Having lived abroad, I had to get used to the cultural differences between the UK and Indonesia. Nevertheless, I had made up mind and would move back no matter the circumstances. One of the things that made me slightly more confident was the feeling that I might have more advantage over my peers in the Indonesian job market as many of my Indonesian friends who had graduated in the UK got jobs really quickly. Some were even head-hunted! But then again, you never know your luck, and I wasn’t ready to count on my lucky stars yet. The strange thing about returning home after many years is reverse homesickness, and I think I definitely faced that - Indonesian culture felt foreign to me. Not having a job waiting for me made it more challenging and I found myself at home applying for jobs, going for interviews in a city that was foreign to me, and comparing my life in Indonesia with the one I had back in London. I had a vague idea of the function that I wanted to be in, as I had a background in marketing for my Master’s degree, and worked as a digital marketer in London. However, I was not sure about which industry and sector I should be looking for jobs in. After sending out a bunch of applications, I started to doubt myself as I did not hear back from many employers as they would take longer than usual to reply. Eventually, I met a consultant from Michael Page Indonesia, who was very proactive and helpful. Besides helping me narrow down the industries and sectors I should be looking at, he always provided a listening ear and made sure that the offers were aligned with what I was looking for in terms of salary and job scope. He even gave me advice during our first meeting, providing insights about the Indonesia market - which industries were growing, the average salary range, the positions available and that really helped me to understand the expected salary and type of roles I should be looking at. Having all the information on hand gave me the clarity I needed. We managed to narrow the selection down to the Health and Beauty industry. My consultant managed to shortlist Bioderma as a company, and set up the interviews quickly for me. The rest is history. 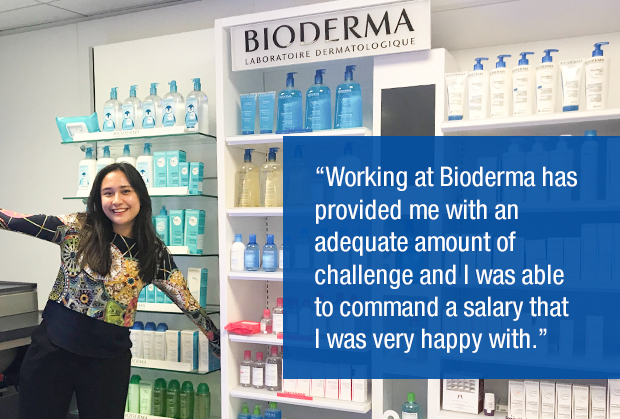 Looking back, I am very glad that I managed to land a job at Bioderma, as the role was everything I was looking for. Besides providing an adequate amount of challenge as a manager and a good office environment, I was able to command a salary that I was very happy with. Everyone was friendly, and I even had the opportunity to travel to France for a training programme after just 3 months in the company. The company has given me lots of room for career growth and learning opportunities. Whilst there are pros and cons about moving home, I have seen more pros – for example, feeling more confident after landing a job at Bioderma, embracing my roots, being close to family and having my support system at hand. There are many aspects of local culture that I can now enjoy like Buka Bersama with friends and visiting the supermall. Coming back to Indonesia has also allowed me to build a new community of friends and I have since started a British Alumni Running group every Sunday. I believe that so many other returnees face the challenges I have faced, but I believe that these are all challenges that helps one to develop as a person. While you may not have a long term plan in place, my advice is to enjoy the journey and the cultural experience of moving back home. Being an emerging market, opportunities are abound in Indonesia, and there are so many possibilities awaiting returnees. Planning to return home? Find out how Michael Page’s Membangun Negeri campaign can help you look for a new job opportunity and facilitate your move back to Indonesia.